Come...relax and enjoy some one to one time with Diane! Look for new writings and posts every Tuesday! 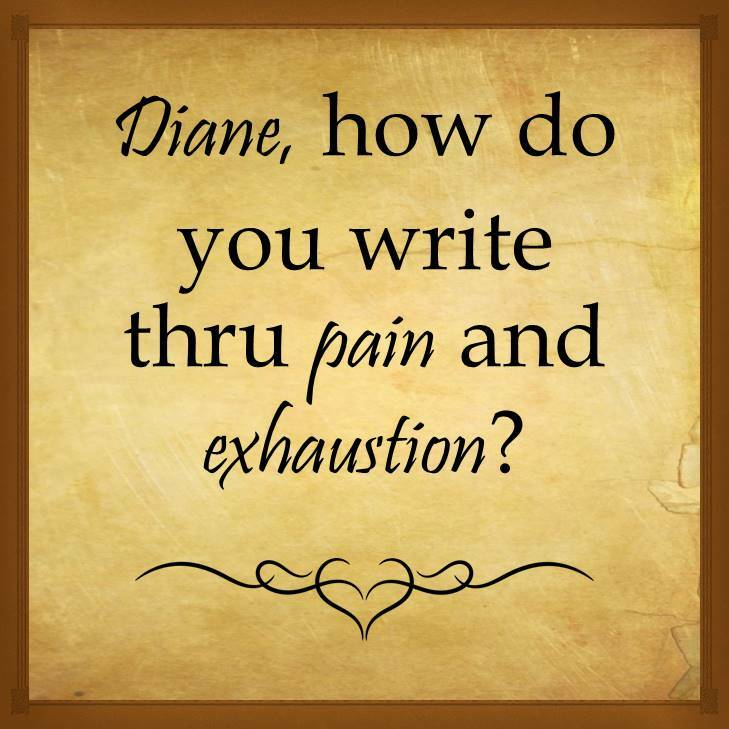 You may not believe this...but I actually do my best writing, when I'm exhausted and in pain. To some of you that may seem strange; but for me...it becomes a time, when these moments of weakness actually brings me down to a level, where I can connect even more deeply with God. You know...when I was a young girl; everything seemed to be second best for me and I would find myself giving into life much easier and not really caring about what took place in my life...and I believe that was only because I was so caught up in my problems and the depression that stemmed from those problems. Now, since Christ has set me free and given me a new life; there is a drive within me that makes me want to keep pursuing and pursuing, while walking way beyond the pain and tiredness, to lean on a strong God...One who can produce so much through me and through the weaknesses I face in life. 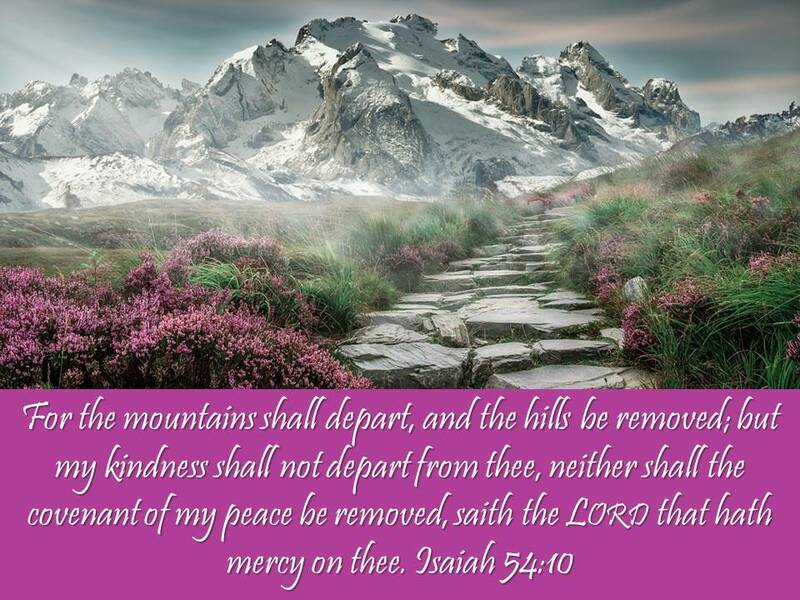 We will never know how far God can take us in life...and we will never experience the depth of His loving power and strength, when we are turning our back on Him...to take hold of a weakness that only keeps us weakened in life. One of my life verses that has always been of encouragement to me is found in 2 Corinthians 12:9...and we read... "But he said to me, "My grace is sufficient for you, for my power is made perfect in weakness." Therefore I will boast all the more gladly about my weaknesses, so that Christ's power may rest on me. "...and this is exactly how God works through the weak moments of pain and exhaustion...for it's in my weakness, I'm not only made stronger; but it's through these difficult moments of weakness; that the power of Christ rests upon me! Hello everyone...nice to see you again...and a big welcome to "Diane's Place! Come on in and have a seat and I will get some refreshments because as you can see, I thought we'd sit down together and look at some of my favorite photos that I have taken over the past years. To start out with...the beautiful mountain slide was taken only a couple miles from us, in a field where we would walk our dog "Jack." When he was alive, my husband...and sometimes me, would take him to the field, to go for an adventurous walk. As you can see...Jack was more than ready to go to the field, as he would sit behind the steering wheel...waiting for Papa to take him away, for some fun times! When we arrived, we would see rabbits and deer on and off the trail. In fact, my husband used to put a bag of cut up carrots in his back pocket and these mule deer that you are seeing in the pictures would actually follow us around the field, until he would give them some carrots; then by the time we reached the end of the trail; Jack would sit patiently, while Keith gave the bunnies their carrots too; then Jack would get a treat and Jack and the bunnies would eat together. Never once, did Jack ever try to chase the deer or the bunnies...he was quite the dog! Also...some other pictures I decided to share with you today, are of the flowers I love so much! The pink roses and lilacs are my favorite, as I love to bring them into the office. Many times, I'm unable to go outside...except for a break or two; so bringing these beautiful flowers into my office, gives me a feeling, as if I am in the great outdoors, which I love! As you can see...I live in some beautiful country, where the sunsets are vibrant and the scenery can be breath taking at times. I will never forget the time, when one animal...the moose; decided to step out of that beautiful scenery and pay us a visit. At the time, I was sitting in my office, on the daybed...working hard...right near the window...and for some reason, I kept seeing something brown from the corner of my eye, but then when I would turn my head and look out the window...there would be nothing there. I thought to myself...ok Diane, you are really tired today...that was until that "something brown" began to move closer to where I was. Before I knew it...a big bull moose was parked right outside my window...looking at me, from the corner of his eye. I thought to myself...don't move...just stay calm. Within a short time, he started to mosey along...further into the backyard and when he did...I decided to move to...right out of the office. As I got closer to the kitchen, I saw Keith standing there and I said... "Ah Keith...there's a moose in the backyard." He looked out the window and before I knew it...he was off to give the moose a bucket of water and some lettuce leaves. Here my husband and I used to drive all over the place...looking for moose and bear...and one steps right over our fence and into the back yard...now figure that one out! Anyways...as you can see, I have a lot of good memories to hold to! I sure have enjoyed sharing a little of my life with you! Sorry to say...it's time for me to go. 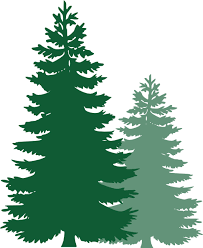 I hope you will enjoy hanging around the cabin for a bit...and even more, I hope you will come back next week and spend some more time with me, at "Diane's Place! Have a great day and God bless! 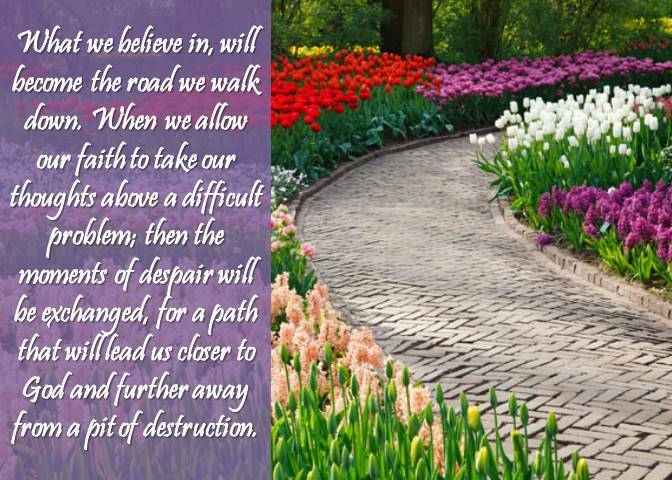 Are you looking for a way to exchange the weak moments in your life, for a strength that can keep you standing, during the difficult times? 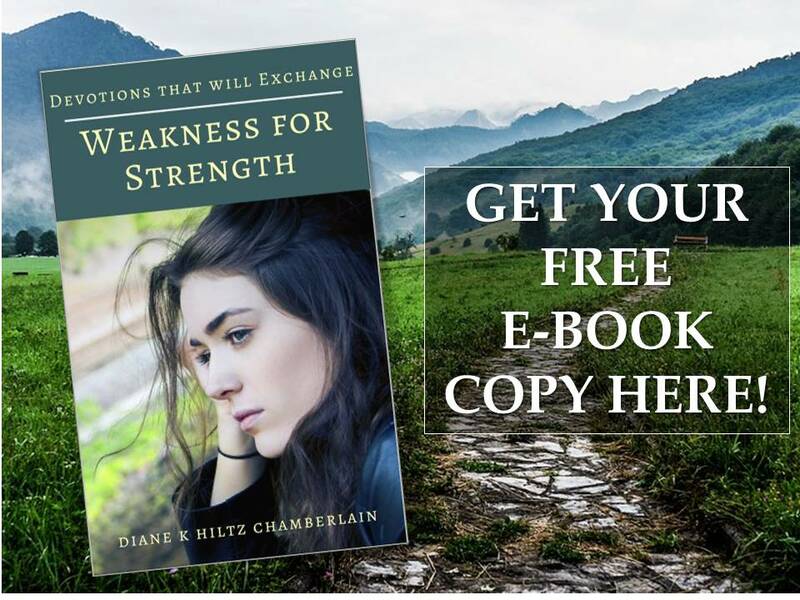 Come and discover words of encouragement, along with a strength and hope that will become a crutch to lean on, during the difficult moments, through Diane K Hiltz Chamberlain’s devotional book…“Devotions that will Exchange Weakness for Strength." The devotional writings within this book were first given to the author, as she faced overwhelming moments of pain and heartache and became the tools…along with the Bible; that would become strength to her, during the difficult moments of her life. Its very encouraging, its something to reflect back on when I'm feeling depressed or down. At this time and in these next few weeks or so I no ill be hurting deep down so this is something that will help me.